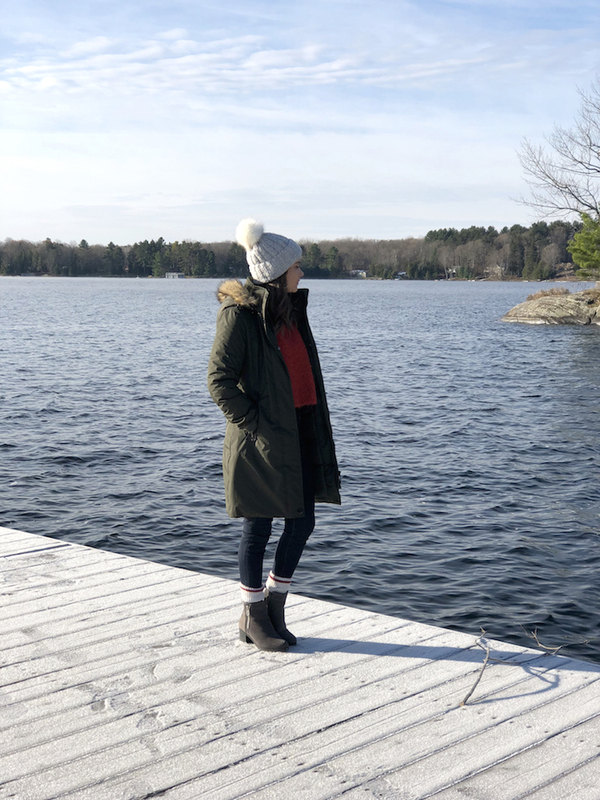 A Warm Coat: I’ve talked about Noize coats on my blog before and I’ll say again – they are SUPER warm. Having a warm coat when heading out on a winter vacation might seem like a given but do you know how many people I see outside in a sweater? I don’t know how they do. Maybe I’m a wuss but when travelling in the winter, a jacket that doesn’t require me to put 3 layers under it is top on my list. This Noize jacket is the perfect length to keep your whole body warm. It also has fleece-lined pockets. That’s like finding a dress with pockets – jackpot! Cute Hats: Hats don’t take up a lot of room in your suitcase so they’re perfect to pack for your trips! They will keep you warm and also help you hide that 2 or 3-day old hair! While we’re talking about accessories, packing a warm pair of socks is key. I personally loved the oversized look as they are comfy and keep you super warm. Warm Yet Stylist Boots: Next on my list are warm boots. 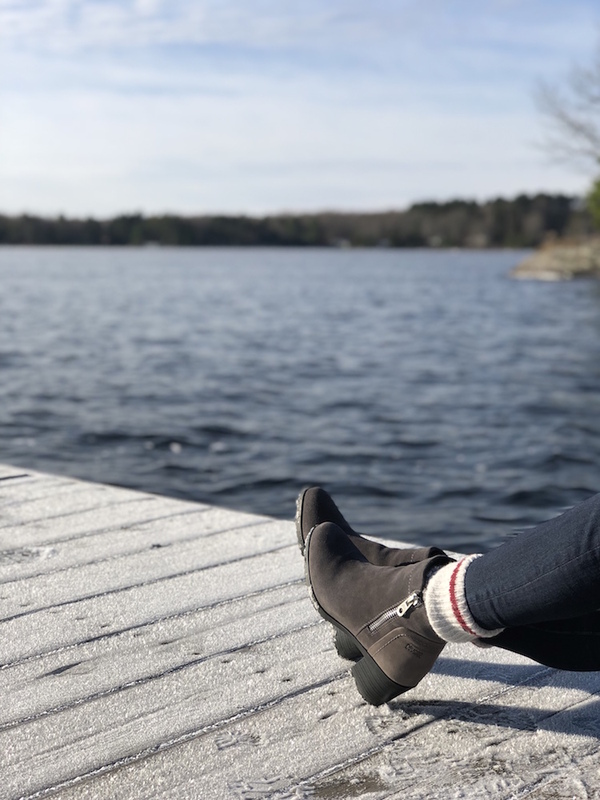 These Cougar Anton Suede Booties are waterproof, have a micronylex lining, a memory moulded insole and an anti-slip TPR outsole with ABS stacked heel. Since shoes take up a lot of room in a suitcase I like to try and limit myself to two pairs of boots when travelling. This is why my new Cougar boots are perfect – they are warm but also stylish enough to wear to dinner! 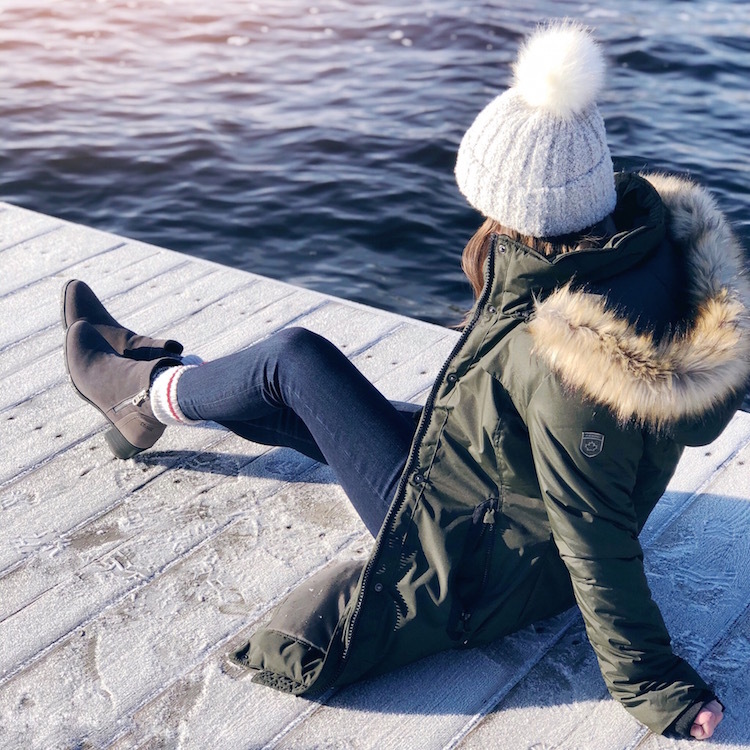 Leggings: When travelling in the winter, leggings are your best friend. Not just to wear around your hotel room but to wear under your jeans. Layering your pants with these will be a lifesaver. I’ve done this on almost every winter trip I’ve gone on.